A key part of development is to test your product and try out actual device conditions (situations that may be difficult to create in real life), but we've got you covered. This self-contained application (available from the Chrome Web Store) creates virtual devices that simulate conditions that otherwise would be expensive and time-consuming to replicate. 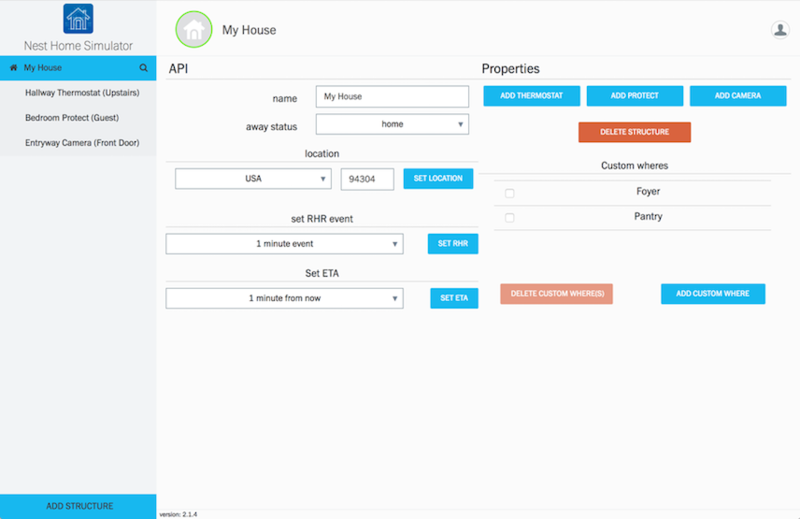 This Home Simulator is intended to be used with virtual devices for testing purposes. 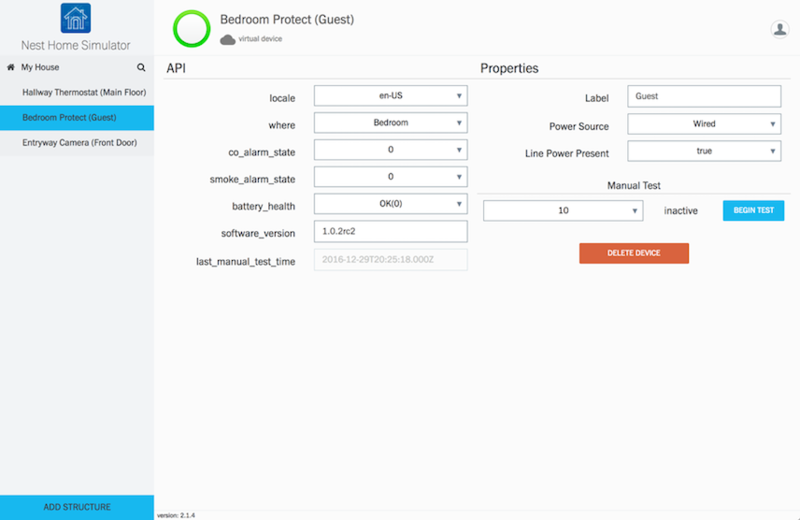 We strongly suggest that you create a separate account for testing and add virtual devices to it via the Home Simulator. Warning: If you use an account that is connected with actual, physical devices, the Home Simulator will lock out all changes and switch to read-only mode. To exit read-only mode, delete all physical devices from the account, or sign in with a different account that only has virtual devices. For testing purposes, we set a very high tolerance for Data Rate Limits in virtual devices, so your product is not likely to encounter these kinds of error conditions. To run this app next time, open a new tab in Chrome, navigate to chrome://apps, and select the Nest Home Simulator icon. 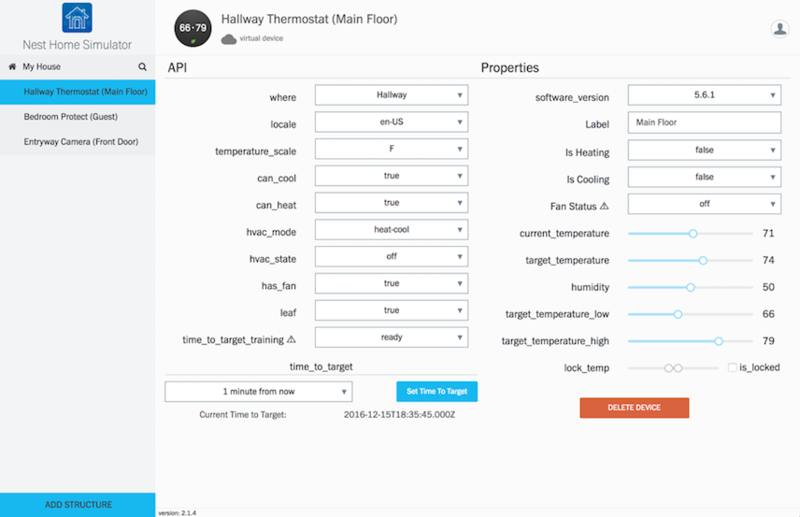 To see changes you make in the Home Simulator, visit https://home.nest.com and sign in with the same account. 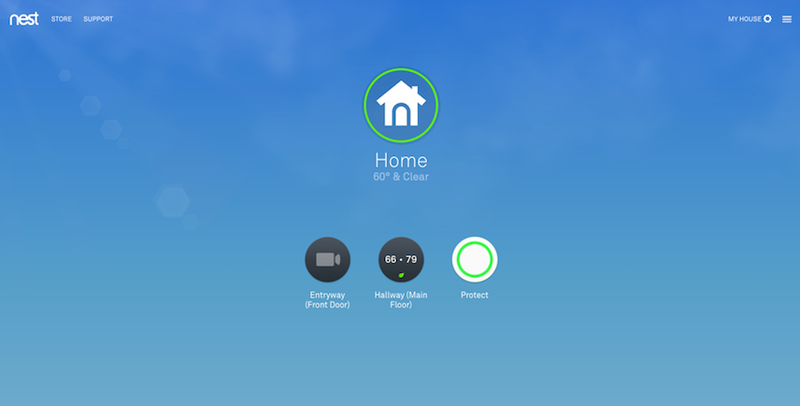 Your virtual home and devices can also be viewed through the Nest app. 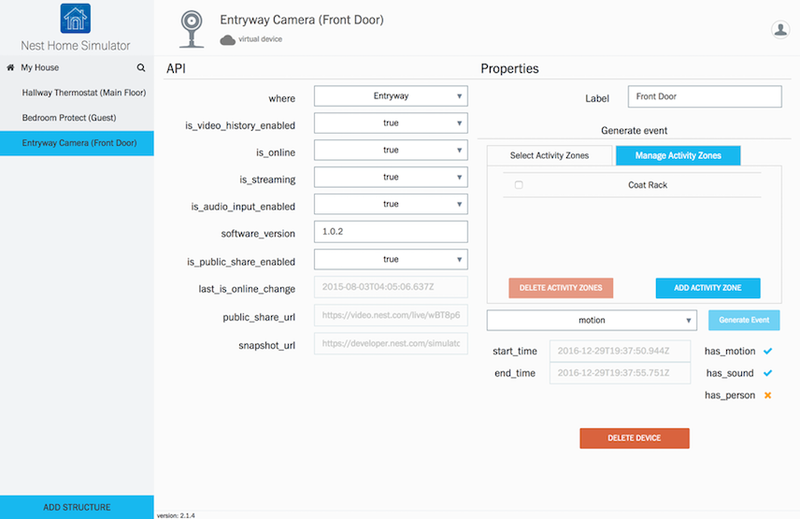 To add your desired device, select the [ADD THERMOSTAT], [ADD PROTECT], or [ADD CAMERA] button. You can add multiple devices, up to the maximum per structure. For more info, see Managing Multiple Nest Learning Thermostats. To add a structure, select the [ADD STRUCTURE] button. You can add multiple structures, up to the maximum per account. If the app isn't behaving as expected, check that you're using the latest version of the app, in the latest version of the browser. This app is intended for use only with virtual devices. If you attempt to sign in with an account that is associated with a physical device, you'll get an error message: "Home Simulator is locked (read-only) We found a physical device connected to this account. To unlock the Home Simulator, delete the physical device." If you attempt to delete the last (only) structure, you'll get an error message: "Account must have at least one structure"